Will Bengal's pluralist culture triumph over the saffron brigade's onslaught? It is of overwhelming importance to the RSS and the BJP that West Bengal, and more specifically, Kolkata, crumbles under the onslaught of the saffron chariot. This is because this has always been considered the epitome of communal harmony and the hub from where writers, poets, artists, dramatists, musicians and filmmakers have come for the last two hundred years, consistently infusing the nation’s blood with secularism, syncretism and pluralism. West Bengal is a constant thorn on the Sanghi side. When Narendra Modi talks divisively about kabaristan vs shamshaan in his typical flamebait provocative style, out comes a Nazrul Islam song Hindu Ar Muslim Mora, affirming the unity of Hindus and Muslims in the state. 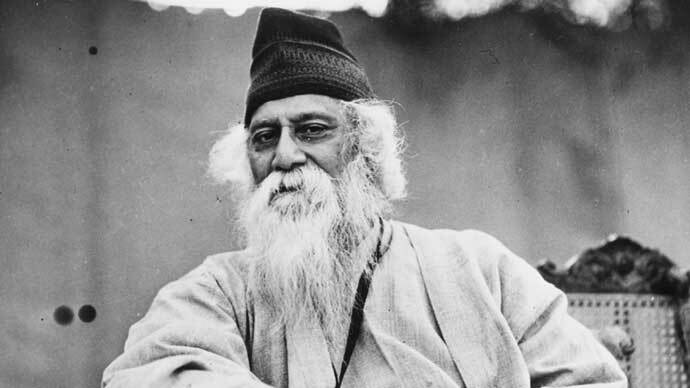 Tagore’s poem, Where the mind is without fear is a direct indictment of xenophobia of any kind. It is a well-known fact that his composed national anthem has been anathema for quite some time now for the RSS, which apparently prefers 'Vande Mataram', cherrypicked from Bankimchandra’s Anandamath as more appropriate for their Hindutva ideology. When you cannot challenge popular and revered icons directly, you start eating around the edges. However, the very nature of propaganda is the impact and lasting impression it makes – and facts are secondary once that has been done. The Bengali is perhaps unique in his mockery of native customs and beliefs. It goes back to the 19th century: The students of the Anglo-Indian poet Henry Vivian Derozio (1809–1831) displayed an abundance of zeal bordering on exhibitionism. They ate beef, drank alcohol, held mock pujas of the Goddess Kali (naming her “madam Kali” and dressing up the idol in skirts) and scandalised their traditional contemporaries. And this is where the likeness between our contemporary form of derision and theirs ends. These were all westernised young men, true. Many of them had converted to Christianity. To them, Christianity meant progress and breaking away from the old – much as to us consumerism and youth culture represents freedom from the old and stuffy world of thrift and the socialist middle-class values of our parents. But they were influenced by the philosophy of Hume and Bentham and radical thinkers like Thomas Paine. Theirs was a reformist movement. Reason, rationality and logic were the yardsticks by which they wished to measure their world – and change it. It was essentially political in the sense they were trying to buck the system. This was the Young Bengal Movement – thoroughly iconoclastic in its denouncement of the Hindu religion, its superstitions and its exploitative excesses, its apologists and zealots who had vested interests and who were powerful lobbyists in the administration of that time – much like now. The Young Bengal Movement was a boisterous child of the Bengal Renaissance, an intriguing period of our history and a fascinating chemistry of events. That period brought to the fore a dialogue between disparate cultures that were uneasy bedfellows to a large extent. In its present avatar, that still continues. This time, not between two landmasses separated by the kaala pani, but within this subcontinent. Two cultures uneasily coexist side by side – the so-called 'cosmopolitan' and the vernacular. We have new words in our lexicon such as 'pseudo-secular', 'vernac', 'orange brigade. The vitriolic arguments between the camps of Radhakanta Deb (a reactionary conservative and a philanthropist) and Raja Rammohan Roy 200 years ago are uncomfortably similar to that happening now between the votaries of militant Hindutva and those with a secular outlook. Gods and goddesses are treated by Bengalis with affable and familiar humour, unlike the rest of the country which gets offended easily at the slightest dig, imagined or otherwise. Whether it is Rajshekhar Basu (who used the pen name of Parashuram) or Sukumar Ray, Satyajit Ray’s father, the Hindu pantheon has been a source of many a chuckle for many humourists. Satyajit Ray made a short film called Mahapurush based on Birinchibaba by Parashuram, which is a classic satire on godmen. How would the vast numbers of followers of our present godmen – who find patronage under the umbrellas of our political leaders – react to these narratives? The patachitrakars (scroll painters) and the bauls (wandering minstrels) of Bengal exist in the penumbra of both Hinduism and Islam. Their spirituality and mysticism are not bound by the conventional norms as understood by the rest of India. It is no wonder that the cosmopolitan tradition of Bengal owes a debt of gratitude to these communities. As it does to the Brahmo Samaj, founded in 1828 by Raja Ram Mohan Roy and Debendranath Tagore for the reformation of the prevailing Brahmanism of the time (specifically Kulin practices) and powering the Bengal Renaissance of the 19th century, pioneering the religious, social and educational advancement of the Hindu community. And indeed, it must be mentioned that the 'enlightenment' had its roots too in the court of Raja Krishnachandra Roy of Krishnagar, Nadia district, who surrounded himself with scholars and luminaries. 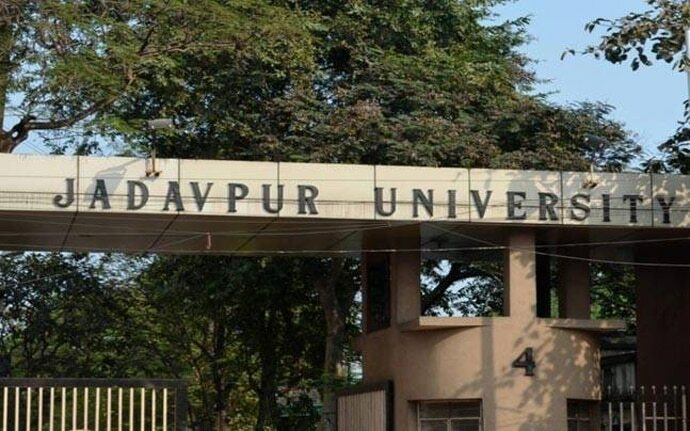 To the anti-intellectual BJP rank and file, Jadavpur University is considered the JNU of the east – a bastion of Leftist inquiry and anti-establishment skepticism. In May 2016, state BJP chief Dilip Ghosh reportedly described Jadavpur University as a 'hub of anti-national elements'. The average Bengali is omnivorous and unlikely to be influenced by the divisive food politics of 'vegetarian Hindus' vs 'non-vegetarian Muslims' that is being muscularly promoted by the RSS/BJP in the rest of the country. The Durga Puja festival has assumed a pan-cultural nature over the years and evolved to embrace every single community in the state. It is an occasion to celebrate through song, dance and cultural programmes the rich tapestry of Bengali society – as also an occasion to copiously gorge on food, specifically of the non-vegetarian kind. Yes, Bengal is under siege. 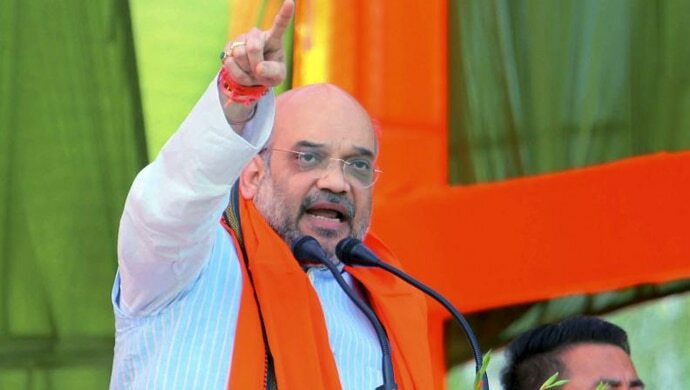 The BJP hopes that at the subaltern level, unrest can be fomented by leaders like Kailash Vijayvargiya who have been tasked with the battering ram, or the rath yatra of Amit Shah, and at the 'bhadralok' level, the appeal of Netaji, who remains a perennial fascination in the romantic Bengali imagination, can be channelised through his great-nephew Chandra Kumar Bose and yield dividends. Mamata Banerjee has also been accused of turning Bengal into a 'mini-Pakistan' and favouring Muslims over Hindus, legitimising Muslim Bangladeshi intruders. From xenophobia, hurt pride over the 'marginalisation' of Netaji, over-hyped scares over contaminated meat, to driving the wedge between communities, every trick in the BJP's book is being deployed since 2014. At the moment, a reviled, abused and mocked Mamata Banerjee still stands resolute and rock-solid against the saffron tide. 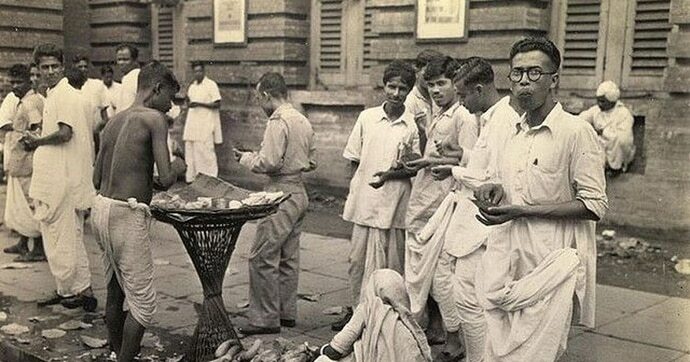 But this will be the ultimate test of the Bengalis' resilience and their pluralist culture, of how much they have internalised the messages of the icons they hold in deep reverence, how deep the renaissance has found its way into their souls, and for how long they will be able to hold out.